The New York Mets routinely prevent their starting pitchers from pitching out of late-inning jams and year after year have a crisis in the bullpen. Sandy Alderson can be blamed for personnel but this issue lies with pitching coach, Dan Warthen and manager Terry Collins. There have been multiple starts this season that Collins has pulled a starter out prematurely. We’ve seen some of the starters routinely give up the ball and never look the manager in the eye. Last night, Zach Wheeler had that moment. He was pulled with no outs in the seventh. Terry was on the steps before he started to pitch. That’s not positive enforcement. Then he gave up a single and Terry pulled him and started the bullpen chain reaction that we’ve all become accustomed to. I know they got out of that inning but the bullpen didn’t have to be activated. Jerry Blevins has pitched in 22 of 37 games. Hansel Robles and Addison Reed have been in 20. Pedro Feliciano has the Mets record for appearances for one season. He was in 92 in 2010. Then he pitched in 25 games for the rest of his shortened career. We’ve seen this before. Wheeler threw 108 easy pitches. 68 for strikes. He was still throwing 96 before he was pulled. He showed no signs of fatigue. Why wasn’t he allowed to work out of a jam? The 20th century Mets and Rube Walker, would have allowed Tom Seaver or Jerry Koosman to try and work out of the situation. You can’t prevent every run but you can burn out your bullpen early if you follow this recipe. The Mets are using the excuse that they won’t call up Amed Rosario because they need pitching. So, when they inevitably put Asdrubal Cabrera on the DL that’s their plan? Send down Matt Reynolds. He has 10 at-bats this season with one hit. 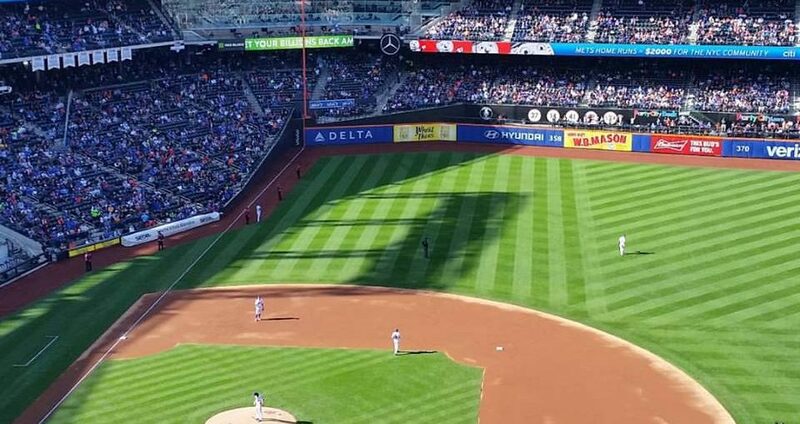 The Mets not wanting to start the clock on Rosario is costing them offense and defense. Not to mention steals. Do fans remember them? They have 10 steals on the season. Changes must be made. Collins can’t keep going by the book and watching the opposition have huge innings while the Mets try and come back from behind time and time again. Getting rid of Warthen would be a good start. Collins would be next on the list if things don’t improve. The Mets can’t keep using injuries as an excuse when they are giving away games. The Mets had an easy schedule to start the season and they blew it. It will be harder for them to make up ground as the season goes on. It’s no impossible but it will be if something doesn’t change. How many fans turned off the game when Wheeler was pulled? I bet there were quite a few that decided sleep was more important than watching the Mets bullpen implode once again.